Families can even be cat-sized and shaped, if you happen to be a cat lady (not that there's anything wrong with that!). We've all seen those stick family window decals on the back of the old family truckster at the grocery store or dropping off the kids at the local elementary school. Frankly, most of them are pretty lame. We hate to be the one to break it to you, but nobody who's driving around you cares if your whole family loves Disney World so much that your stick figure is wearing mouse ears. Literally nobody. Yet people insist on slapping these sappy stickers on their minivans to show the world how #blessed they have been in the procreation department, so we, the good people of the internet, reserve the right to mock your stickers any chance we get! 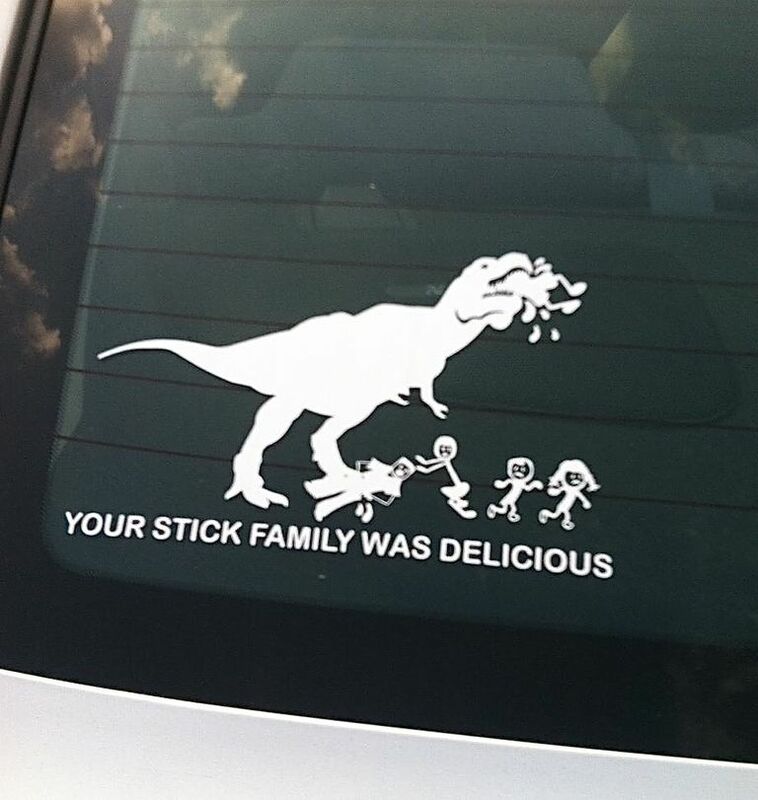 The good news is that if you do want to display a family stick figure decal, it doesn't have to be a boring one. Here are 16 very funny decals that will put your sense of humor on full display right alongside your awkward family members. Hey, why not? This dad is not going to waste that prime advertising space on the back of his SUV! This advertising approach may not exactly be classy, but perhaps it's effective. 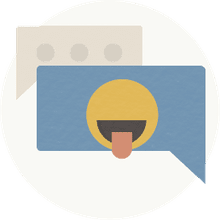 This sticker has been around for a while, but it never fails to make us smile. There's just something terrific about a family who refer to themselves as Asses. We need more families with a sense of humor out there in the world! What this decal lacks in realism, it makes up for in laughs. Wonder What Grumpy Cat Thinks? Wonder no more! Now you know; Grumpy's not a fan. This family just wants you to use your turn signal and drive safely. Also? Braaaaaains. So mom and dad look pretty normal, but what happened to their kids? So much for that universal parenting goal of keeping your daughter off the pole and your son out of the gutter. So apparently polygamy is a big deal out in Utah? I mean, it's ALLEGEDLY a big deal out in Utah? IDK, everything I know about polygamy I learned from HBO. I'm sure whenever you come across a car with a family sticker on it, your first thought is something along the lines of, "That's cute, but what this sticker needs more of is cat butts." No? You've never thought that? Yeah... me neither. We can't be sure, but this doesn't look like the healthiest of relationship goals. There's nothing funnier than making fun of ax murders. Okay, well; maybe there are a few things that are funnier than that. My only question is OMG WHERE CAN I GET ONE? Just in case you want the world to know that you're a dorky Harry Potter fan, this one's for you! And I say that with love, because I totally AM a dorky Harry Potter fan. File this one under "Best Thing Ever." Sometimes it's the simple jokes that are the best jokes. Further proof that Star Wars makes everything better, and if it exists, there's a Star Wars version of it. The only dilemma is who gets to be the cute little Jawa and who has to be Boba Fett. Also, why are there two Leias? Surely they could find a Rey sticker out there somewhere in the galaxy. So there you have it; sixteen funny stick figure decals that are guaranteed to make the people are you snicker a little bit on their drive to work. And really, isn't that all we can ever hope to accomplish while driving our cars? Go get on out there and make someone laugh today!